The National Highway Traffic Safety Administration is investigating Honda Motor Co. for failing to report injuries and deaths related to recalled Takata airbags. The safety organization is requiring Honda to answer 34 questions under oath regarding the way the automaker logged accident reports and searched for defects in the airbags. Takata Corp. is Hondas largest supplier of airbag parts, and the NHTSA is investigating claims that Honda may have hidden knowledge about the defective airbags over the past decade. Honda and other automakers are legally obligated to report this information to us, said NHTSA Deputy Administrator David Friedman, and failure to do so will not be tolerated. The NHTSA indicated that Hondas failures to report problems and defects in the Takata airbag defects may extend to other unreported problems with its vehicles. Takata Corp. was forced to issue a massive recall after the NHTSA determined that its malfunctioning airbags can explode, causing the metal housing to break apart and spray shards of metal towards the face and neck of the vehicle occupants.At least ten million vehicles have been recalled in the United States because of the defective airbags since 2008. If you or your loved one was injured by a Takata airbag, you may have a claim for compensation against the corporation. 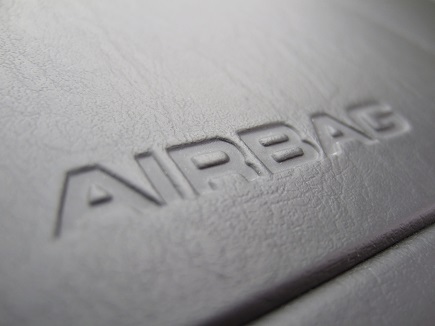 The personal injury attorneys at Phillips Law Group are investigating defective airbag claims, and would like to hear from you. Call or text 1-800-706-3000 and make sure your rights are protected after an accident.